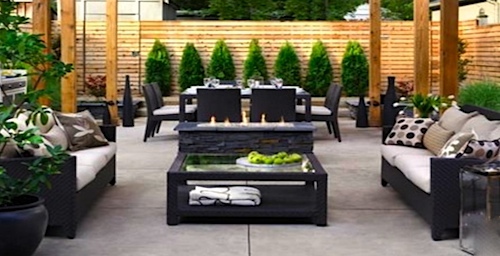 Patios are your outdoor oasis. 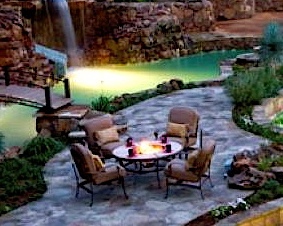 They provide you a great outdoor area for relaxing, dining and entertaining friends and family. 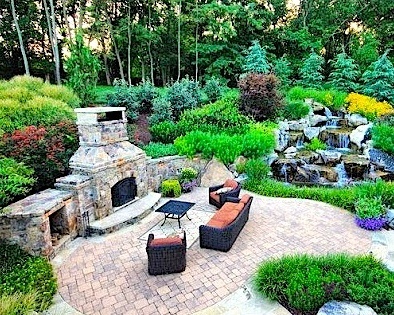 A successful patio design transforms your garden into an outdoor escape. Patios can be attached to or detached from a house. 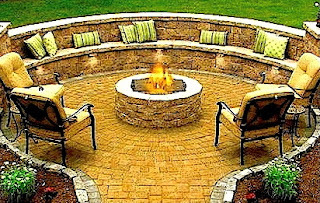 They can be built in different shapes (rectangles, ovals, squares) with different supplies and materials: brick, pavers, gravel, tile and stone. 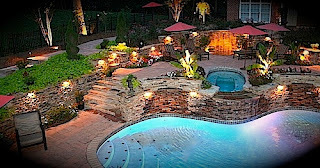 Consider the goal and function of the patio, the amount of maintenance you want, and the budget you are willing to spend on your patio design. Check with your local building inspector to find out about building codes and permits. 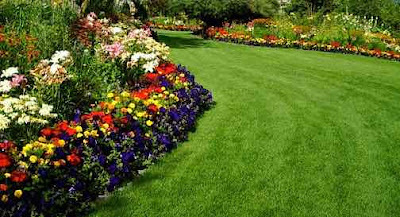 Make sure the patio is in proportion to your house and the rest of the garden. Consider having your patio space close to your kitchen and restroom with easy access from your patio door. Create an area for dining, cooking and entertaining if you have enough space. 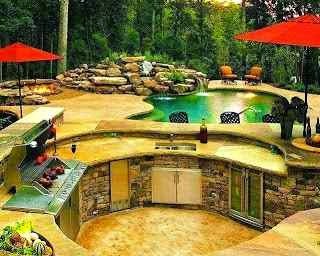 Add an outdoor kitchen if you have enough space, with storage for utensils, a barbecue grill, a small refrigerator and an ice maker. Having an outdoor kitchen will keep the grease, humidity and heat from cooking outside your home. Create privacy around your patio by using shrubs, trees or fences. 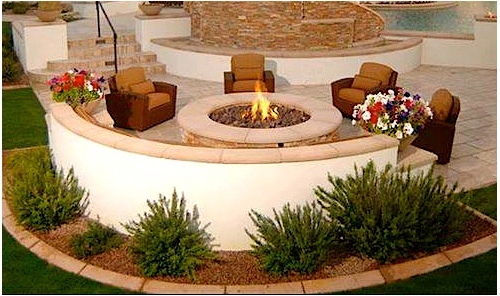 Create a focal point around your patio. 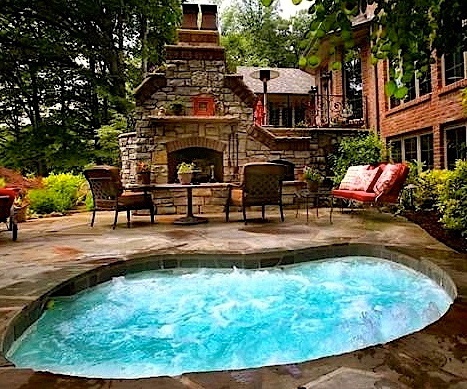 Garden fountains, ponds, and pools make good focal points that enhance relaxation. Make sure you try any new outdoor furniture you plan on buying to determine if it’s comfy, durable, secure and reliable. Select outdoor furniture that matches, fits, and complements the style and the theme of your home and garden. 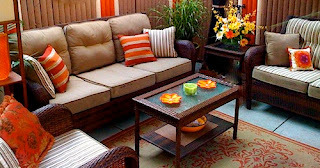 Keep real wicker furniture in the shade because wicker furniture can be damaged by direct sunlight. 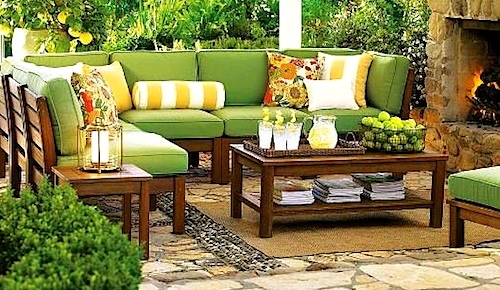 Match and mix different pillow colors and patterns to add texture and color to your outdoor space. Choose a patio set and add extra tables to spruce up the patio and make it more appealing and inviting. 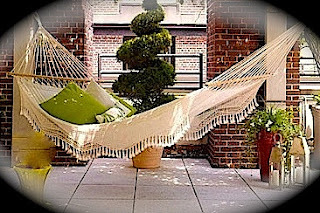 Invest in a comfy Hammock to add an interesting new twist to your outdoor space. Add an outdoor dinning set for barbecues and dinner parties. Make sure you don't put the dining area downwind from the barbecue. Add a fire pit for a cozy feel and to add warmth to your outdoor space on cooler summer evenings. Consider adding a shade or umbrellas to your patio space. 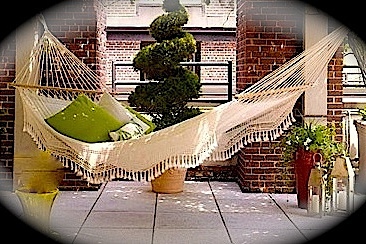 This will create shade for your guests and make your outdoor space more enjoyable for conversation and eating food. Add elegant outdoor lights (hang lanterns, strings of lights) that complement the theme and the style of your outdoor space; to give the area a romantic glow and to provide safety at night. Use the same material for all your hardscapes (pathways, patios) to add visual appeal to your home. Choose the same color scheme for the outdoor furniture, outdoor lighting, and outdoor accessories for a coordinated look. 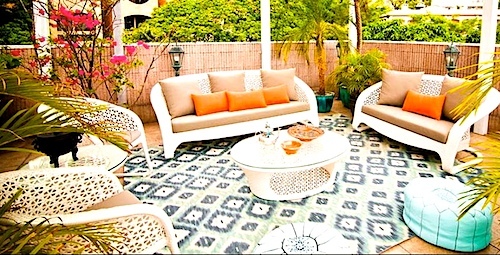 Accessorize your patio to give it life and personality and to create a theme for your outdoor space. Choose one or two wind sculptures to add style, flair and excitement to your patio. Add some greenery such as, hanging planters, container plants and potted flowers to easily add color, fragrance and texture to your patio. Add an area rug that is water and mold resistant, to delineate the space and to complete the outdoor room look. A patio is an important outdoor element of your home. 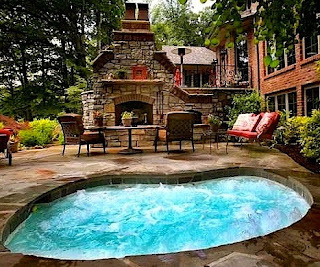 A well designed patio complements your home's design and architecture by extending your home’s interior design style outdoors and it also helps raise the value of your home. Follow the tips in this article and in my previous landscape design articles to create a spectacular patio that is beautiful, practical and functional.